Last updated 9/4/2009 by David Giblin. Publication: Arbust. Amer. 19. 1785. Notes: FNA3: "Variants having more or less close, dark brown bark ( B . papyrifera var. commutata ) occur locally throughout the wide range of this species; this characteristic appears to be largely environmentally caused. 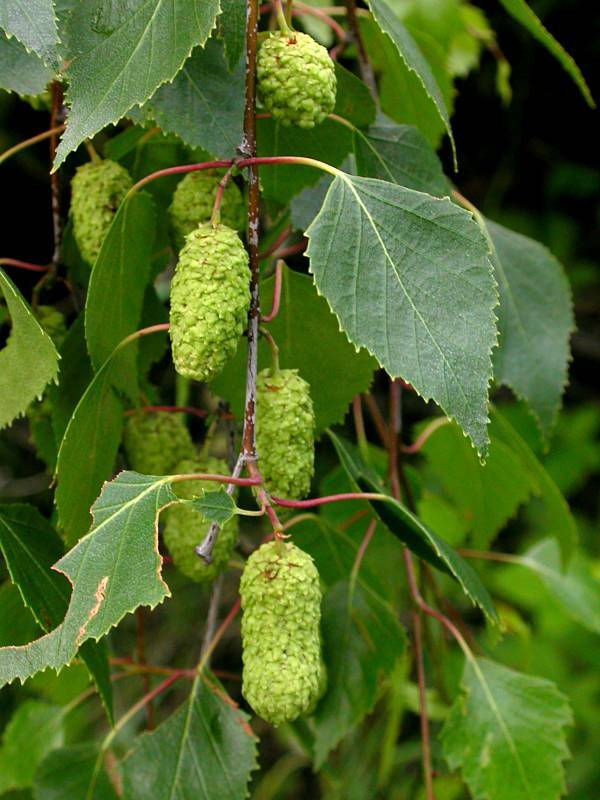 Betula × sandbergii Britton is a fairly common hybrid, occurring where the ranges of the parents ( B . papyrifera Marshall and B . pumila Linnaeus) come into contact. In most vegetative features it is intermediate between the parental conditions (K. E. Clausen 1963; C. O. Rosendahl 1928)."